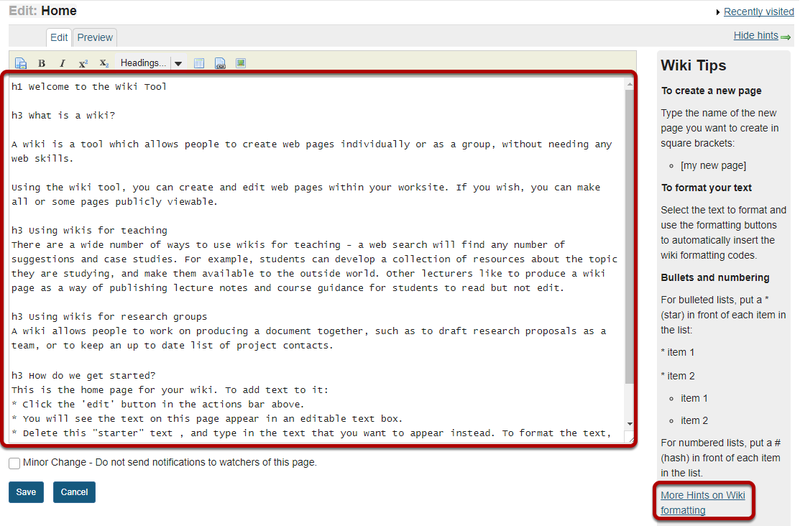 Sakai Guides and DocumentationSakai Complete User Guide WikiHow do I edit wiki pages? Zoom: Enter the page content. Enter your content into the editing area provided. Note: If you need some help formatting your text, refer to the Wiki Tips sidebar which contains information on how to use the appropriate mark-up to format text. 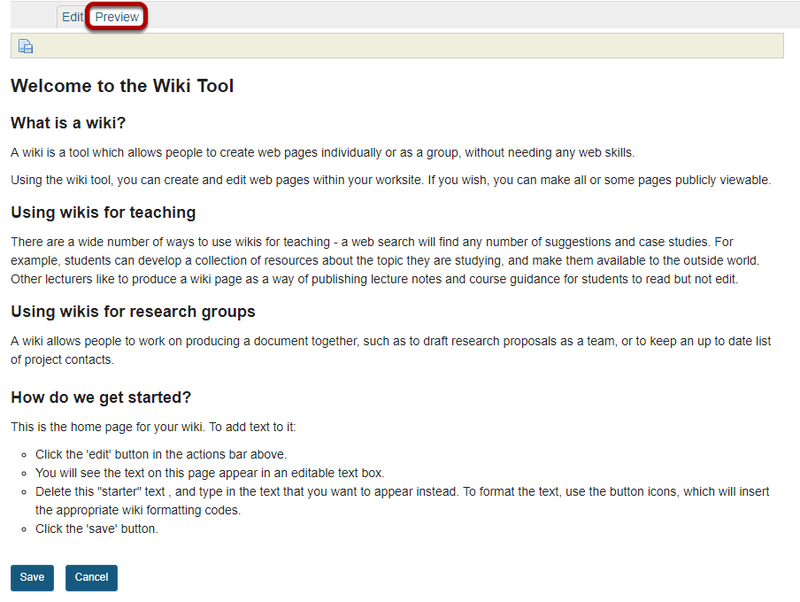 You may also click on the More Hints on Wiki formatting link in the sidebar to view additional examples. Add an image or attachment. If your edits on the page are very minor (e.g. fixing a typo) and you do not want users to receive a notification about new content on this page, you may check the Minor Change box to not send notifications. Prev: How do I search wiki pages? Next: How do I create a new wiki page?